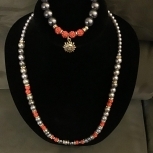 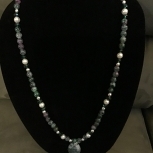 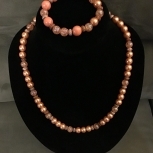 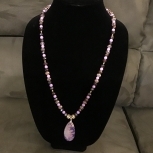 This Beautiful Necklace Set is 28 inches long. 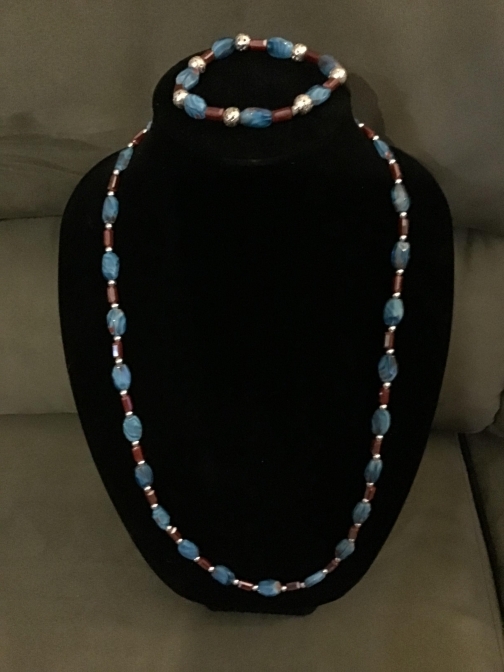 It has blue and burgundy gemstones with silver spacers. 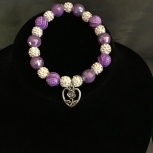 It has a matching bracelet included. 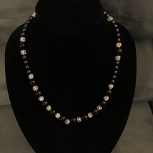 It’s great for any occasion.